Note: Does your screen look different than this? Your administrator may have classic experience set on the document library. If so, see Introduction to libraries. If you're a document library owner, site owner, or administrator, see Switch the default experience for document libraries from new or classic for the steps to set the default experience. Note: Some features are currently only available in classic experience. Click Return to classic SharePoint in the bottom, left corner of the page to switch to classic experience. 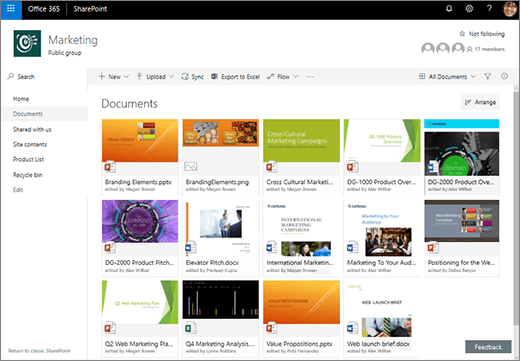 The default site in SharePoint Online and SharePoint Server 2019 includes a document library and one is created automatically when you create a new site. You can add additional document libraries to a site as needed. This is useful, for example, if you need to restrict access to a set of files. Each document library displays a list of files, folders, and key information about each, such as who created or last modified a file. You can use this information to organize your files and make it easier to find them. 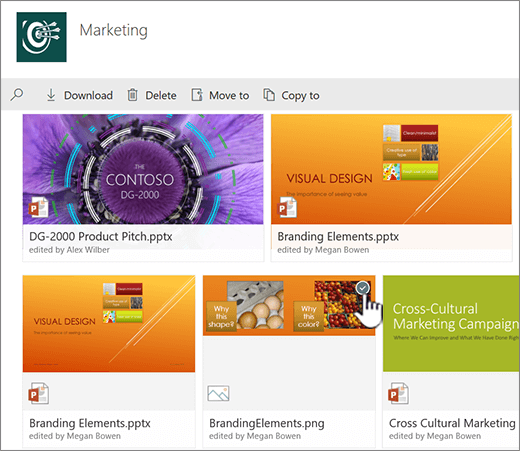 Add, edit, delete a file, folder, or link from a SharePoint document library, co-author, and download documents. Note: The list of document types will vary depending on your permissions and how your site was set up. Note: Folders are not currently supported by Internet Explorer. 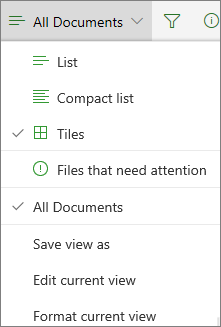 At the top right of the document library page, click View options to change the document library view to List, Compact, Tiles view. If using Internet Explorer, you can open the document library in Windows File Explorer, by clicking View in File Explorer. You can also save a custom view by clicking Save view as or, if you are a library owner or administrator, you can edit or create views on the library settings page by clicking Edit current view. You can add new columns and select the columns to display by clicking + or + Add columns on the far right side of the column headers if you're in list view or, if you're in Tiles view, by clicking and then clicking on the far right side of the column headers. 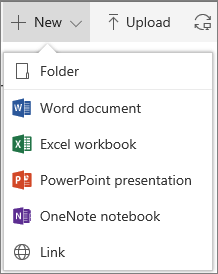 You can see another version of the document menu by right-clicking the file name or, if in list view, by clicking the ellipses next to the file name. 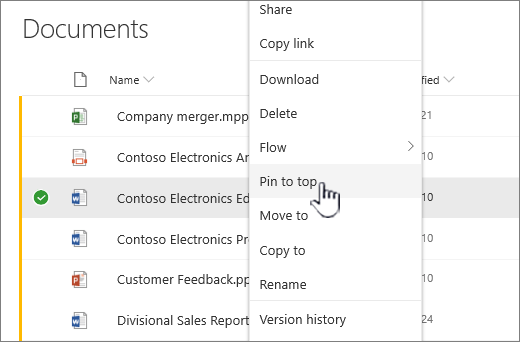 This menu contains additional actions such as Pin to top which highlights files so you and others can find them quickly. 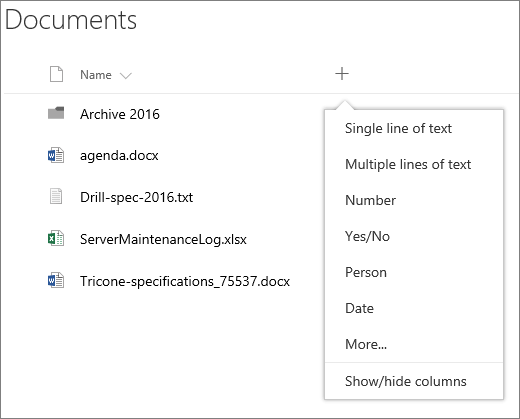 When should I use a document library instead of OneDrive for Business? See Should I save my documents to OneDrive for Business or a team site? to learn the best place to store your files.